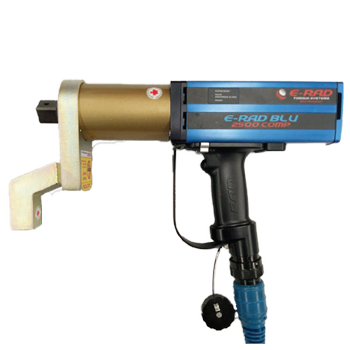 E-RAD BLU series precision torque wrench tools are designed to provide a high degree of accuracy (+/- 3% on target) for high torque assembly applications. 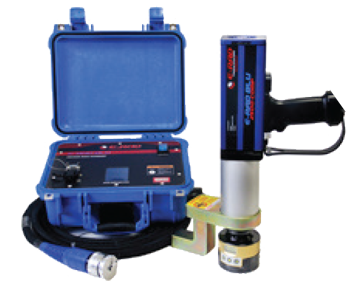 Our patented and extremely advanced electronic pistol grip torque wrench combines the legendary RAD gearbox design and AC Servo motor technology to reduce bolting time up to 300% as compared to conventional hydraulic wrenches. Multiple models wrenches can be used in combination with one controller. Reducing cost when multiple wrench sizes are needed. 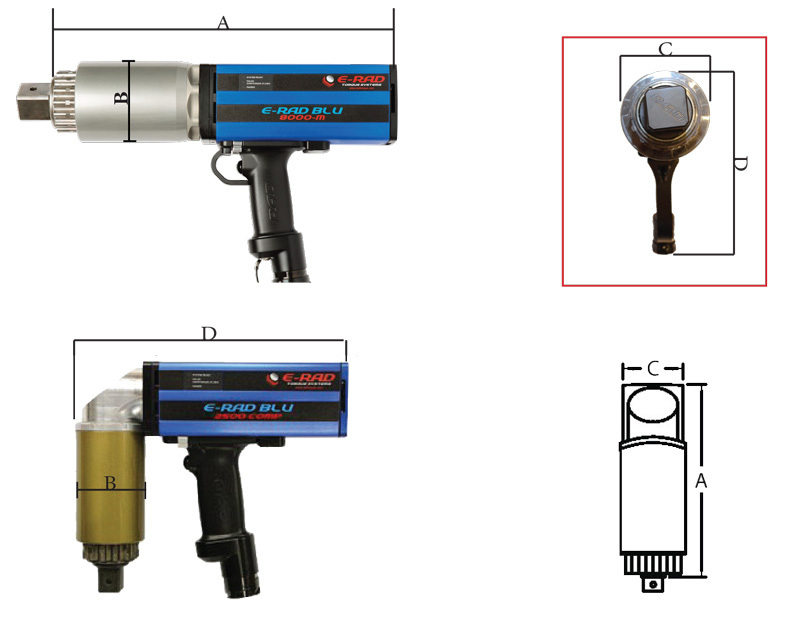 Extremely low noise level – only 75 dB – World’s quietest extreme torque gun, ideal for sensitive environments and standards. 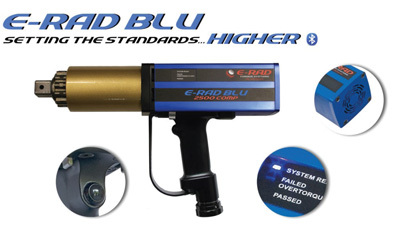 The E-RAD BLU Series Touch Control Case provides the interface for all E-RAD BLU Tools. The E-RAD BLU Touch Control Case allows the user to dial up and down, using the touchscreen. Torque and angle can be set in single digit increments to their desired torque. Torque and angle can be set in single digit increments to their desired torque. 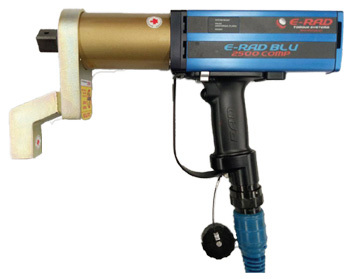 With one Touch Controller case you can manage the torque range from 135 Nm to 16.500 Nm depending on your connected E-RAD BLU torque wrench.